Black Bean Salad – YUM! This was a very tasty served with baked tortilla scoops. The whole family enjoyed it. We found the recipe on www.onceuponachef.com Thank you! Combine all ingredients except avocados in a large bowl and mix well. Cover and chill for a few hours or overnight. Right before serving, add avocados and mix gently, being careful not to mash avocados. Garnish with a few sprigs of freshly chopped cilantro if desired. Serve at room temperature. Look under my recipes for more yummy dishes. You can also go to my wifes blog and get lots of recipes. 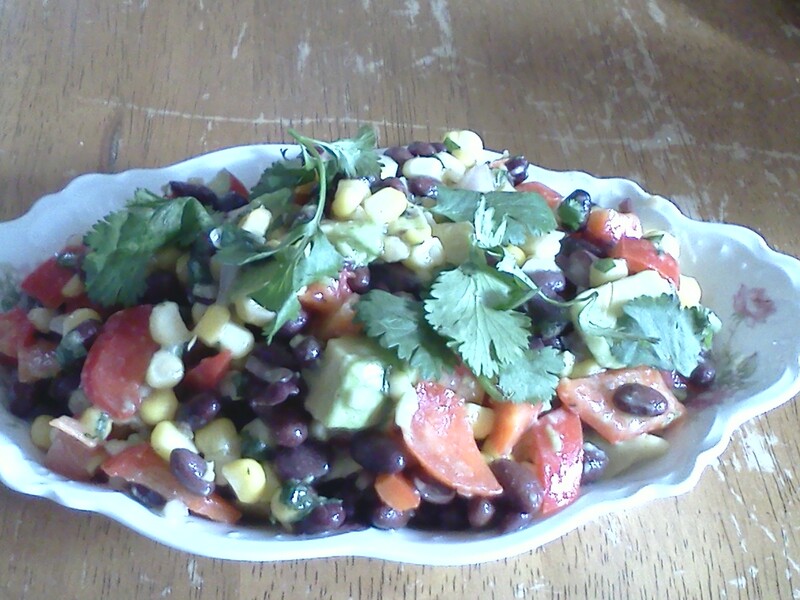 This entry was posted in Recipes and tagged black beans, daniel fast, healthy, healthy recipes, salad. Bookmark the permalink. 1 Response to Black Bean Salad – YUM!